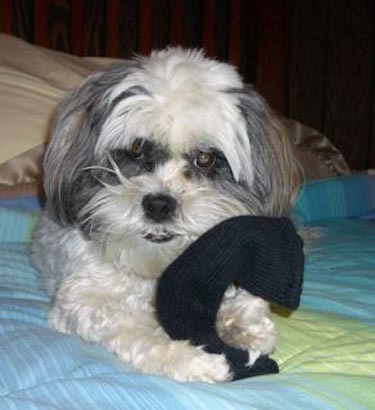 The sock bandit strikes again! Kathy, you would not believe how much Pete resembles my Frankers in facial expression! !